Scientists have claimed a new scan could reveal whether asthma sufferers' medication is working. It could also help to detect what is traditionally a difficult condition to diagnose, as well as being cheaper and more accurate. The new test developed by King's College London follows the progression of a patient's white-coloured blood cells across their lungs. Having asthma need not deter people from taking a holiday. 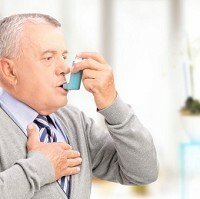 Securing tailor-made asthma travel insurance can give them peace of mind should they require a change of medication or treatment after an attack. The new test is based on how swiftly the eosinophil white blood cells spread across the lungs. These react to pollutants, allergens and other irritants through generating toxic chemicals, whose accumulation leads to inflamed airways. These cells somehow respond more readily to such irritants in asthma sufferers. Slower-moving eosinophil cells imply that more have spread to the region, meaning the increased likelihood of lungs being inflamed. KCL tested this by taking blood samples from 16 volunteers: 12 had asthma - including four without symptoms - and four were healthy. Using radioactive substances, gamma cameras and injections, scientists observed that cells passed through healthy lungs in four minutes. The same kind of cells passed through asthma-hit lungs, including those without symptoms, in six minutes. KCL's Joanna Lukawska said such a test could be cheaper, more accurate and not so labour-intensive. She said that slow-moving eosinophil cells could show that asthma patients are not responding to steroids and prompt a switch to other drugs, including mepolizumab. What does Asthma UK say? The results have encouraged Asthma UK's Samantha Walker. They could further progress the creation of reliable asthma diagnostic tests, Dr Walker believes. One in 12 Britons (5.4 million) suffer from asthma. The condition leave sufferers' airways inflamed and constricted. These get clogged with mucus when they come into contact with triggers, including dust or pollen.